Watch your sales grow manifold with sales force automation(SFA). Unleash the power of insightful cues. Easy sales tracking and collaboration with your distributors and retailers like never before. 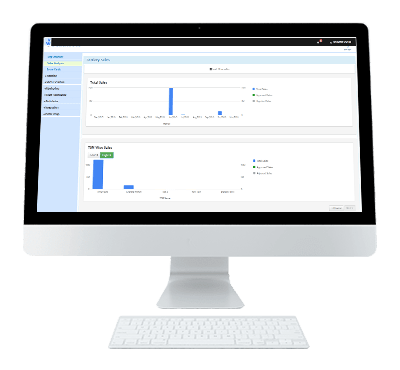 BeatRoute is an award-winning cloud-based field force automation platform to manage last mile coverage, visual merchandizing and backend commerce between distributors and retailers across business verticals. It is a combination of web portal and a mobile app that allows sales automation. You can get a timely response from your sales rep and conduct real-time salesman tracking. It is equipped with GPS, camera and barcode-enabled features and caters to industry verticals such as FMCG, Consumer Durables, Pharmaceuticals, Apparel, etc. 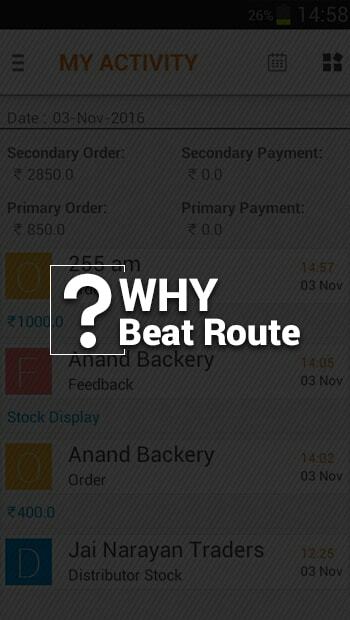 BeatRoute is a user friendly mobile app. It has scaled up along with our team and makes it possible for us to keep an eye on offtake and displays in real-time at retail outlets. I knew that BeatRoute won an award for its user interface, but using it myself was a breeze. Truly full of pleasant surprises. BeatRoute has brought a culture of transparency, meritocracy and excellence in our organization.